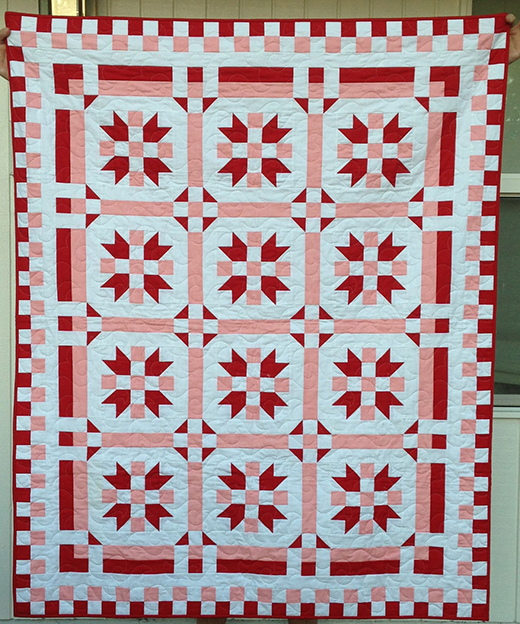 This Be Mine Quilt designed by Joyce Dean Gieszler,The Quilt is made almost entirely from 2-1/2'' fabric strips. Instructions include how to make a scrappy version as well. 66" x 82".